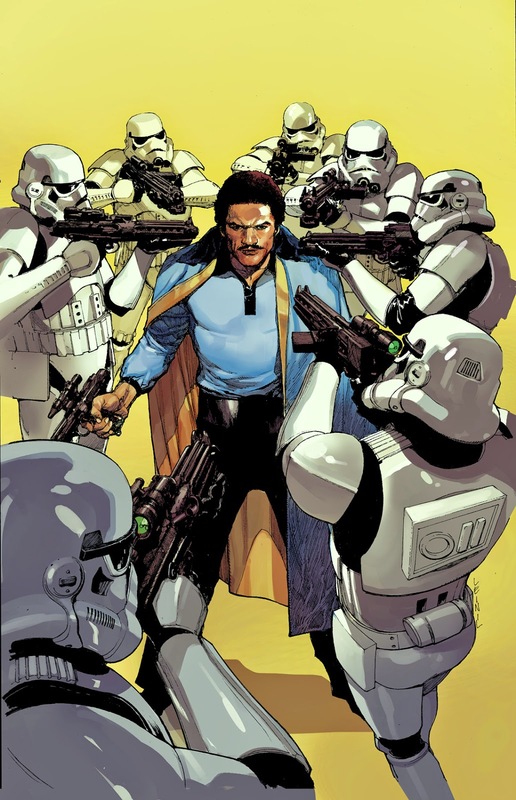 Lando #1 cover by Lenil Francis Yu. 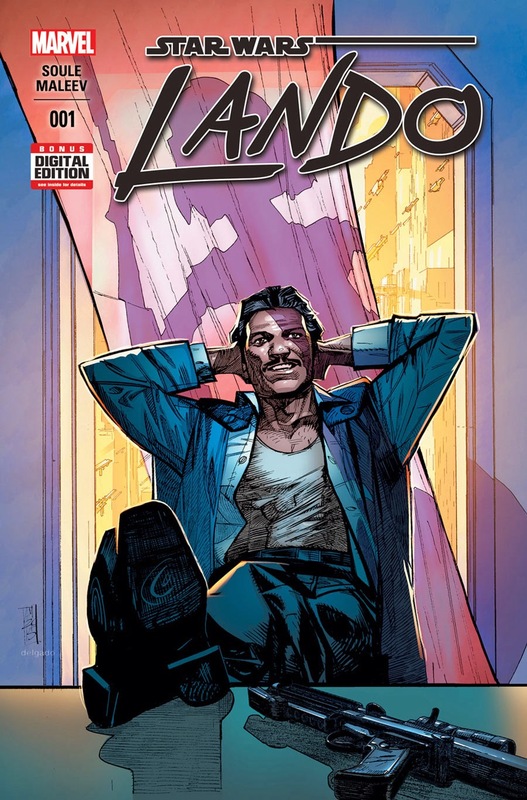 The smooth-talking scoundrel will star in his own limited Marvel series, Lando #1, hitting stores this July. The five-issue series will be written by Charles Soule (Letter 44, She-Hulk) and illustrated by Alex Maleev (Moon Knight, Daredevil). It will be the fifth original Star Wars series to debut since Marvel regained the publishing rights. “Is Lando Calrissian the coolest character in all of Star Wars? Depends on who you ask, probably. But if you ask me, the answer is yes, and I plan to prove it with this story,” says series writer Soule. In Marvel’s Lando, developed closely with Lucasfilm, the titular character — in the days before he became a hero, but still with Lobot at his side — looks to steal one of the galaxy’s most valuable ships. But, as usual, he may be in over his head. Hot on the heels of the character’s return in the Star Wars Rebels animated series, Lando joins Marvel’s growing line of critically acclaimed and bestselling Star Wars comics, including Star Wars, Star Wars: Darth Vader, Star Wars: Princess Leia, and Kanan: The Last Padawan. This deal is getting better all the time.